Sponsored Content: Looking for an exciting career in aviation? 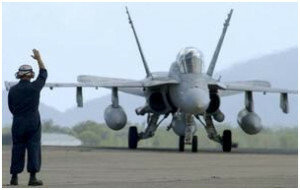 The Australian Defence for is looking for the right people to train as military pilots. Justin Grey takes a trip up Bankstown Airport’s lane of entry while adding the final revision touches to his skills prior to having a crack at the long-awaited General Flying Progress Test (GFPT). Hobart pilot Philip Myer details the joys he recently encountered when getting acquainted with his brand new float-equipped Foxbat A22LS. With the elements impeding his progress of late, Justin Grey tries to make the most he can of his lessons with new instructor Bill Cooper. With First Solo behind him, Justin Grey returns to Bankstown’s training area and prepares for his training area solo. In this instalment of Reach for the Sky, Justin Grey steps back in time and sinks his teeth into a bout of ab initio training in an iconic Tiger Moth. Circuit central: around we go! Here we follow Justin Grey as he bashes his way through circuits on his way to First SOlo. Photos by Peter Arnold, except where noted. With determination in his eye and enthusiasm in his stride, Justin Grey sets off from square one on the arduous march towards the Holy Grail of CPL. Images by Will Spiers. There’s never been a better time to learn to fly a helicopter. Here we bring you all you need to know about getting started in the rotary-wing world, from how helicopters fly to career paths. With basic training completed and skills consolidated following circuit after circuit, Justin Grey braces himself for First Solo, the first milestone of his flying training. Images by Will Spiers. Ron Newman's Online Aviation Theory website is filling the gap between text book home study and full-time theory courses in a classroom.